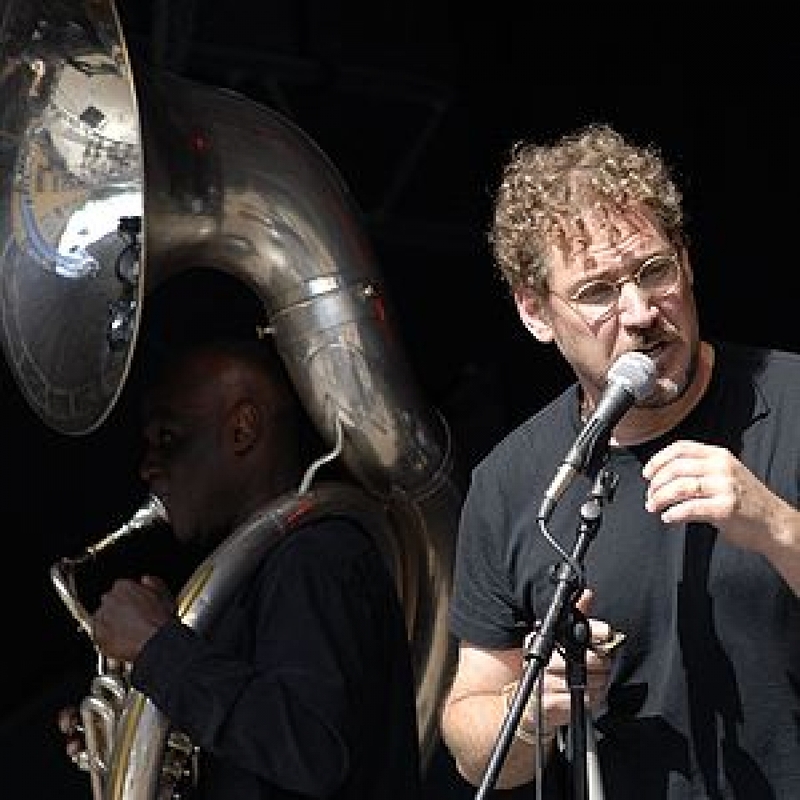 Hazmat Modine is a blues/folk/world fusion/jazz musical group from New York. "Hazmat" is a portmanteau of "hazardous material" and "Modine" is the name of a company that manufactures commercial heaters but may be used to refer to the heater itself. According to lead singer, Wade Schuman this is appropriate since the band "blows a lot of hot air," including harmonicas, tubas and saxophones. The band's first album, titled Bahamut and released on the Geckophonic label, peaked at #12 on Billboard's "Top Blues Albums" chart. Reviewing the album for Allmusic, Jeff Tamarkin gave it four stars out of a possible five, and termed it a "stunning debut". Tamarkin praised the band for successfully fusing styles as disparate as blues, jazz, klezmer, calypso, and ska into "music that sounds at once ageless and primeval, authentically indigenous and inexplicably otherworldly, familiar and unlike anything else." He also praised the group for making "listener-friendly music" that doesn't "require a degree in ethnomusicology to enjoy". Pitchfork Media reviewer Joe Tangari gave the album's track "Everybody Loves You," a collaboration with Tuvan throat singers Huun-Huur-Tu, a four-star review. Characterizing it as "generalized roots music that takes from pretty much any roots it sees fit," he praised it as "true world music, weird and wonderful to the last note."